Just six miles south of the original 1938 Route 66 alignment is one of the United State’s most famous natural attractions, Meteor Crater; the world’s best preserved meteorite impact site. 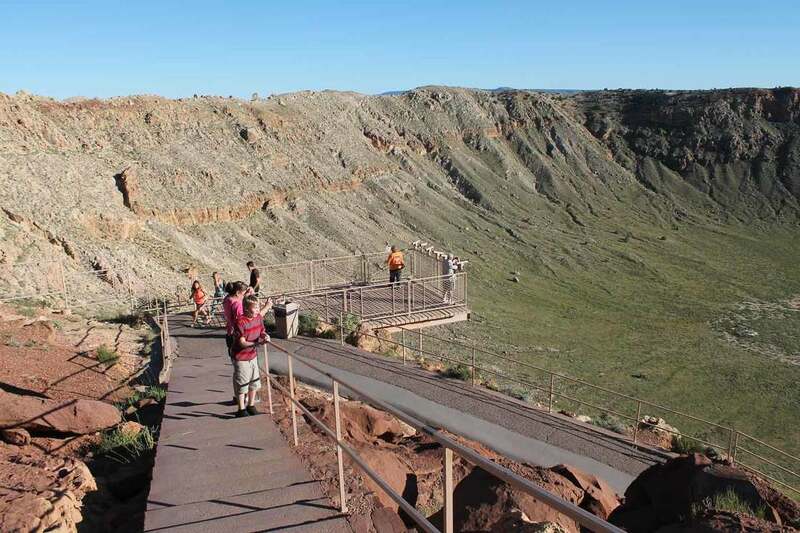 Meteor Crater Observatory opened to the public in the 1930, and the Crater has been a popular stop for visitors ever since, but the Crater’s story actually began more than 50,000 years ago. Out of the northeastern sky a pinpoint of light grew rapidly into a brilliant fireball hurtling about 26,000 miles per hour on a rendezvous course with earth. In seconds, it passed through the earth’s atmosphere, and in a blinding flash, a huge meteorite, estimated at 150 feet across and weighing several hundred thousand tons struck the high desert with an explosive force greater than twenty millions tons of dynamite. When the dust cleared the “big hole” measured 570 feet deep and 4,100 feet (1.25 kilometers) across. 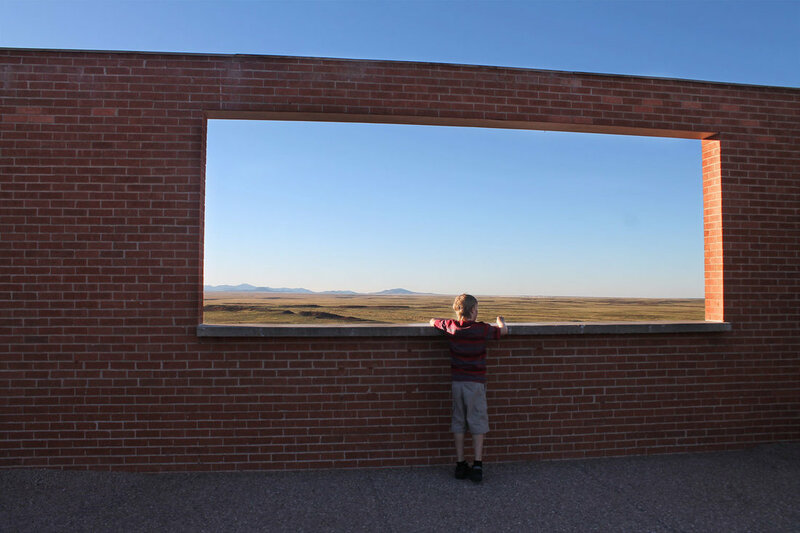 ​During Route 66’s heyday, for 25 cents travelers could view the impact site from telescopes at the Meteor Crater Observatory right on Route 66. The lure of easy on, easy off access might have appealed to drivers, but viewing the crater from that distance was disappointing. Today, about ½ mile from the Interstate on your way to the Meteor Crater Visitor Center, you’ll pass the original Route 66 roadbed abandoned in 1949 when Route 66 was realigned, as well as the ruins of the Observatory.